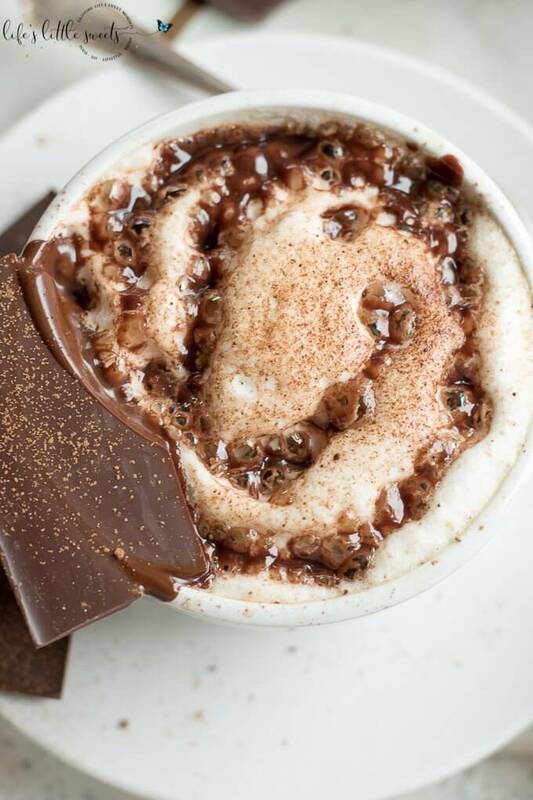 This Chocolate Latte is a decadent and sweet way to start your morning. 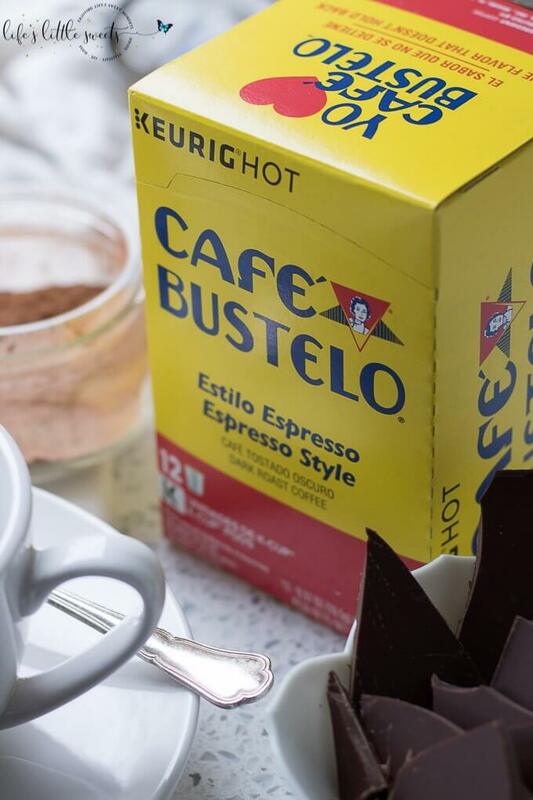 This is a classic latte made with Café Bustelo® espresso, combined with steamed milk (or half and half) and sweetened with rich dark chocolate and Cocoa Cinnamon Sugar Spice Mixture. Hey Everyone, You know I love coffee and espresso, I mean I have a whole Instagram Stories Highlight on the subject. So, when I had the opportunity to share this Chocolate Latte made with , I jumped at the chance! 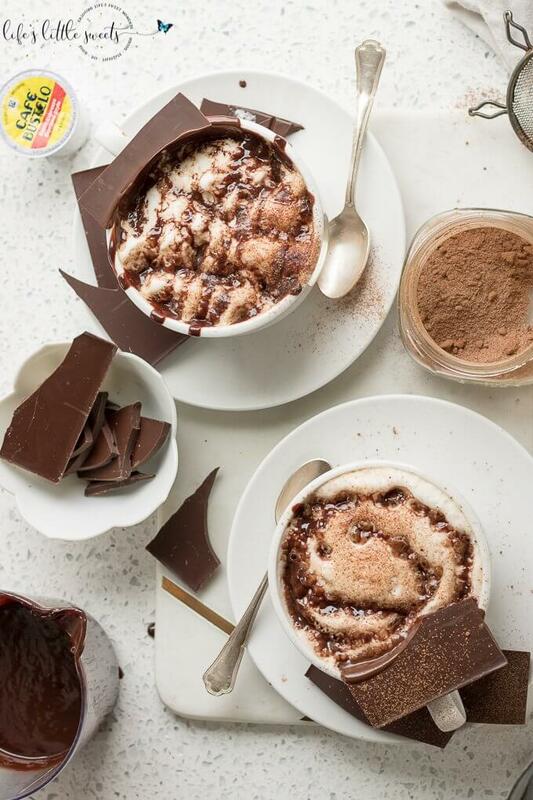 There are so many ways to customize this Chocolate Latte to your tastes, you can just have it plain with steamed milk or half and half and your favorite piece of chocolate melted in. You can choose milk, semi sweet, dark or even white chocolate, depending on your preference. 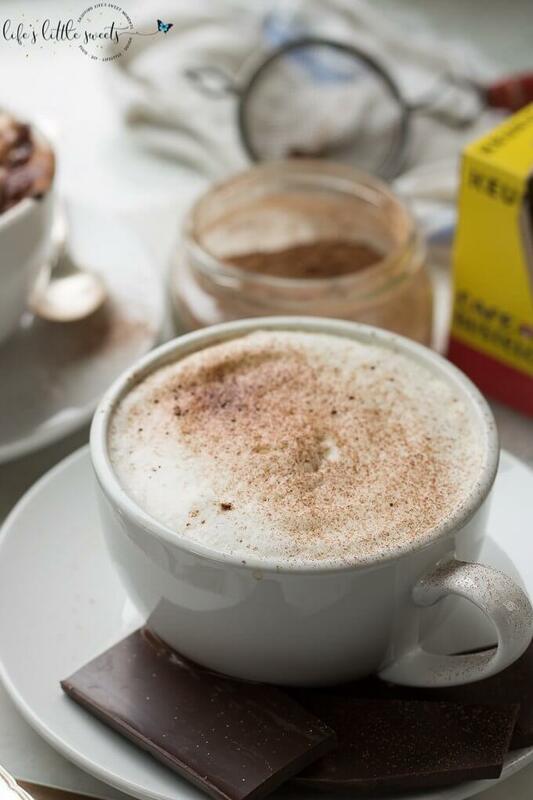 I used my Cocoa Cinnamon Sugar Spice Mixture, a recipe here on the blog, to sprinkle on top of the steamed milk/half and half which adds a subtle sweetness as you drink it along with a chocolate-cinnamon aroma. Another delicious customization is making a chocolate ganache to use as a chocolate syrup, to drizzle over the chocolate latte, making extra rich. I have this chocolate ganache recipe here on the blog too. In the morning, one of my rituals is making a coffee or a latte. I try to make something a little different each morning to have variety and experiment. I set up a whole coffee bar area in one end of the kitchen and if you are into coffee and coffee culture – I suggest you do this too! 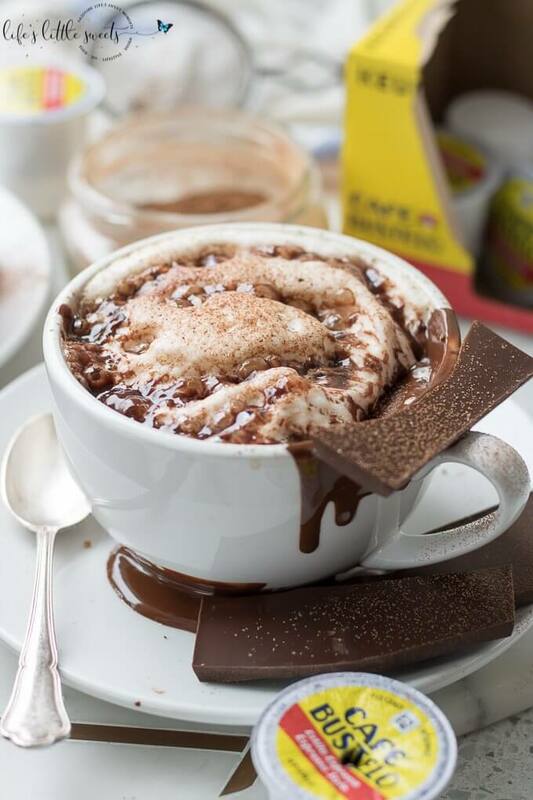 Who wouldn’t want a nice big latte like this chocolate latte in the morning? To make one, it’s easier than you think! Have you ever made a latte at home instead of buying one at a coffee shop? It’s easy! I have several step-by-step to break down the process and show you how easy it is! 1. 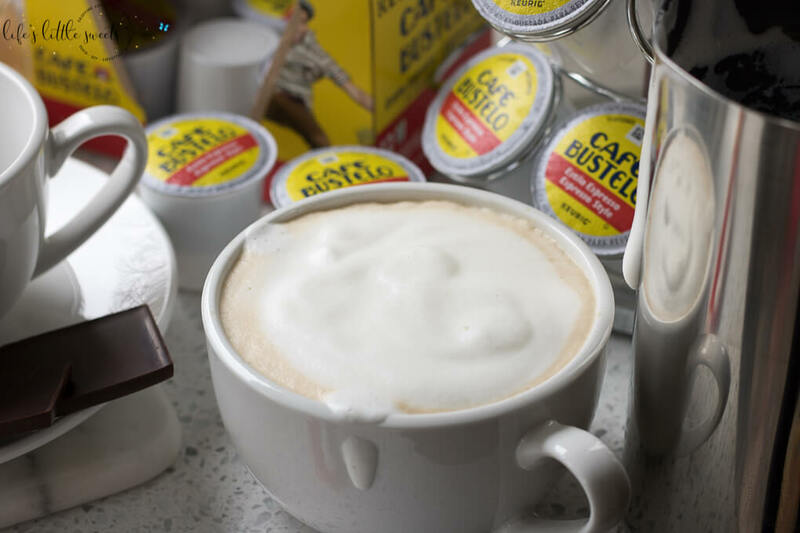 I used Café Bustelo espresso K-Cups that I found at Shop Rite to make this Chocolate Latte. 2. 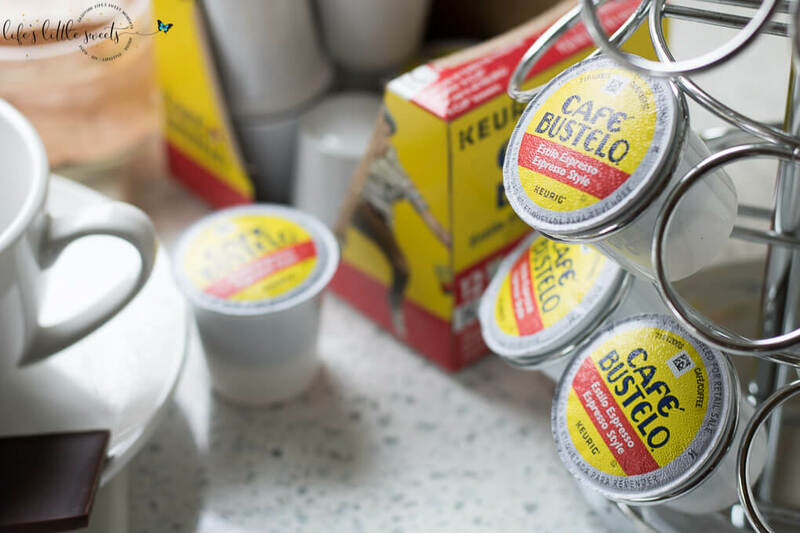 I used the smallest K-Cup setting to make a cup of espresso in my Keurig coffee machine. 3. I have a milk steamer which I heated up some half and half to make the foam for this Chocolate Latte. I like to use half and half instead of milk because I think it’s more rich and creamy. If I used milk, I would use whole milk. I would encourage you to use whichever milk you like best. 4. I sprinkle Cocoa Cinnamon Sugar Spice Mixture on the milk or half and half foam. This is optional but it adds a nice subtle sweetness and aroma to the latte. 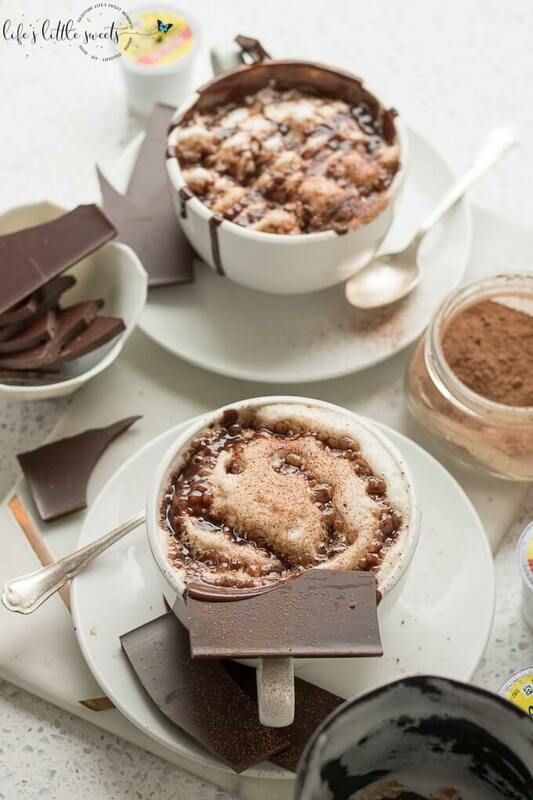 I love to sprinkle my recipe for Cocoa Cinnamon Sugar Spice Mixture on top of the half and half foam. 5. You can use your favorite chocolate syrup, either homemade or store bought, I use my chocolate ganache recipe that can be easily made on the stove top with semi sweet chocolate morsels and heavy whipping cream. 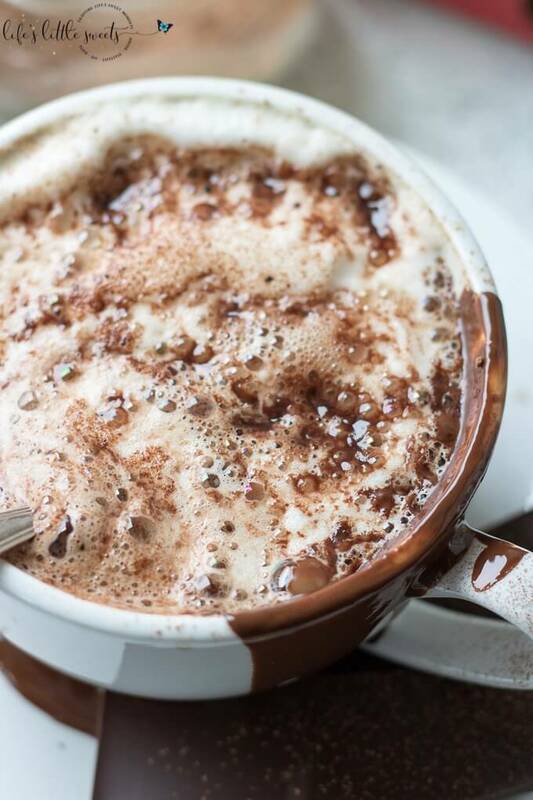 My Chocolate Ganache recipe, adds a decadent richness to this Chocolate Latte. 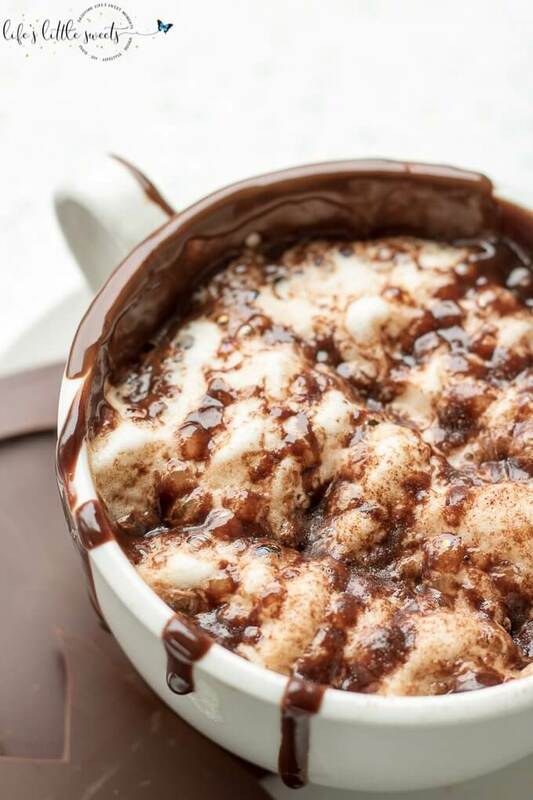 You can use store bought chocolate sauce or your favorite chocolate syrup recipe to customize this Chocolate Latte recipe. Don’t forget to add some dark chocolate in your Chocolate Latte. 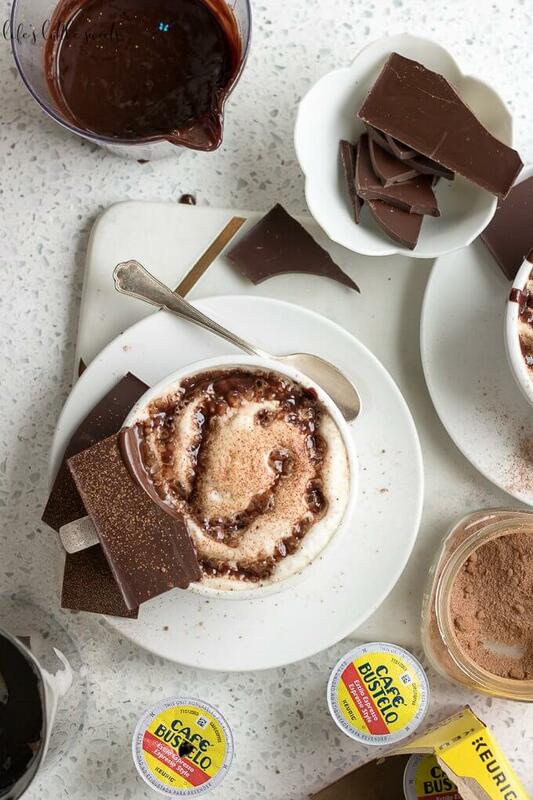 I just dip it in and let it melt for a super chocolate-y experience! 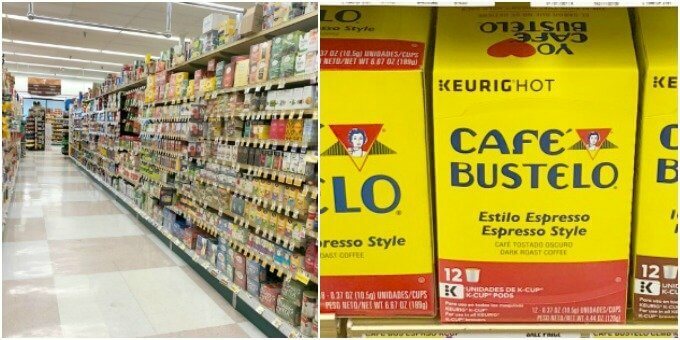 It is also available in a coffee can or in a brick form at Shop Rite. 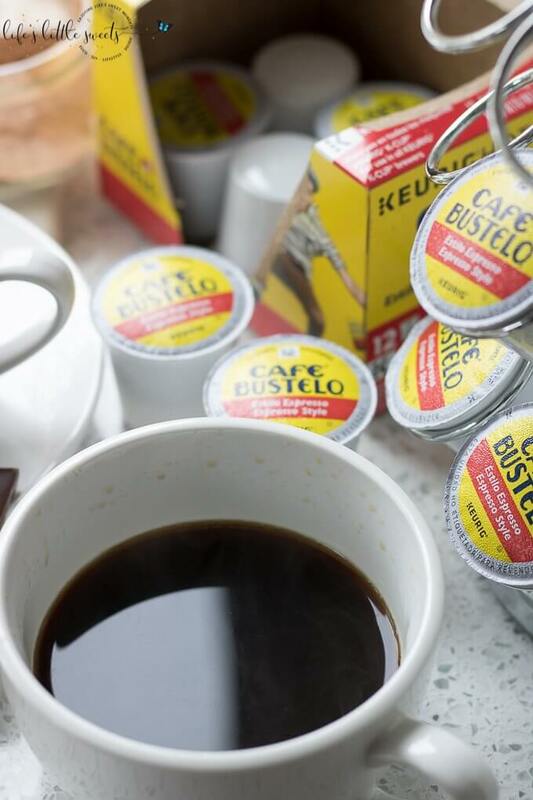 I love the bold flavor of the Café Bustelo coffee and espresso. Even after adding in the steamed milk or half and half, the chocolate and cocoa cinnamon sugar mixture, you can still taste the espresso flavor. 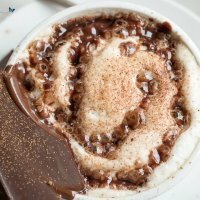 I know you will love this Chocolate Latte recipe! 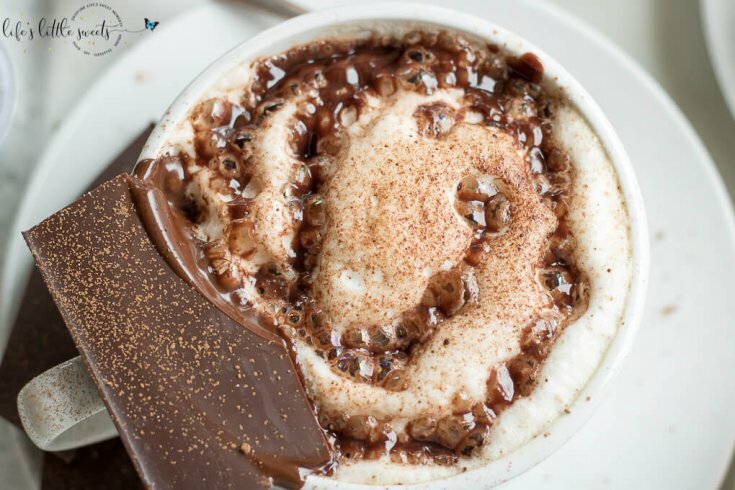 This Chocolate Latte is a decadent and sweet way to start your morning. 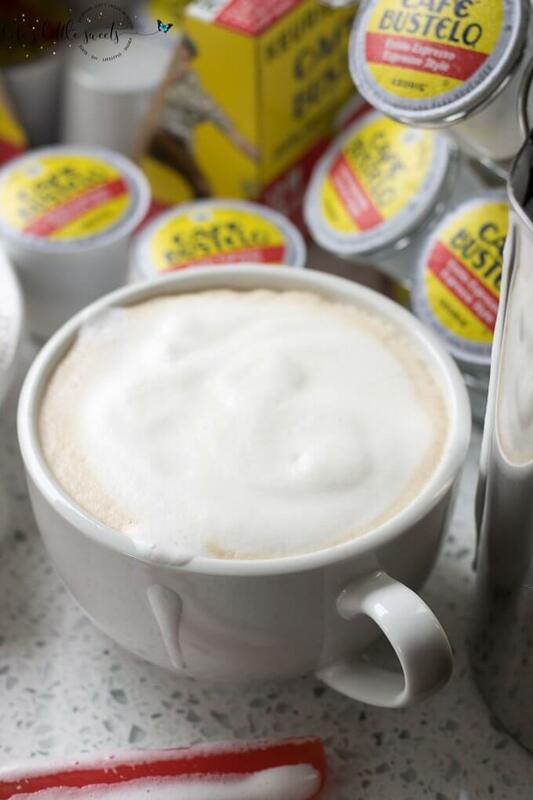 This is a classic latte made with Café Bustelo espresso, combined with steamed milk (or half and half) and sweetened with rich dark chocolate and Cocoa Cinnamon Sugar Spice Mixture. 6 ounces half and half or whole milk (6-8 ounces), amount to taste, you will need a milk steamer or you can heat the milk in a small saucepan on your stove top, if you don't have one. 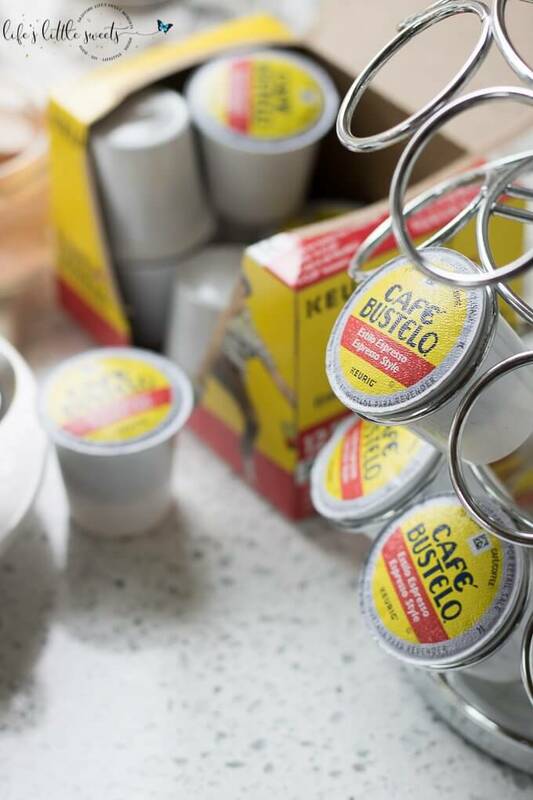 Use the smallest K-Cup setting to make a cup of espresso in your Keurig coffee machine. After you made the cup of espresso, using a milk steamer, steam milk (or half and half) and pour the steamed milk/half and half over the espresso and then the foam. Optional: Sprinkle Cocoa Cinnamon Sugar Spice Mixture over the top of the foam. 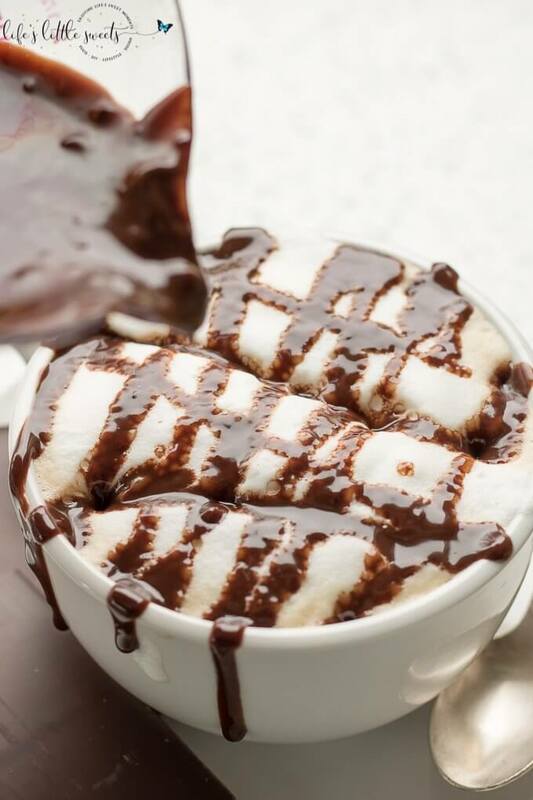 Add the chocolate ganache or your favorite chocolate syrup, drizzled over the top of the latte. 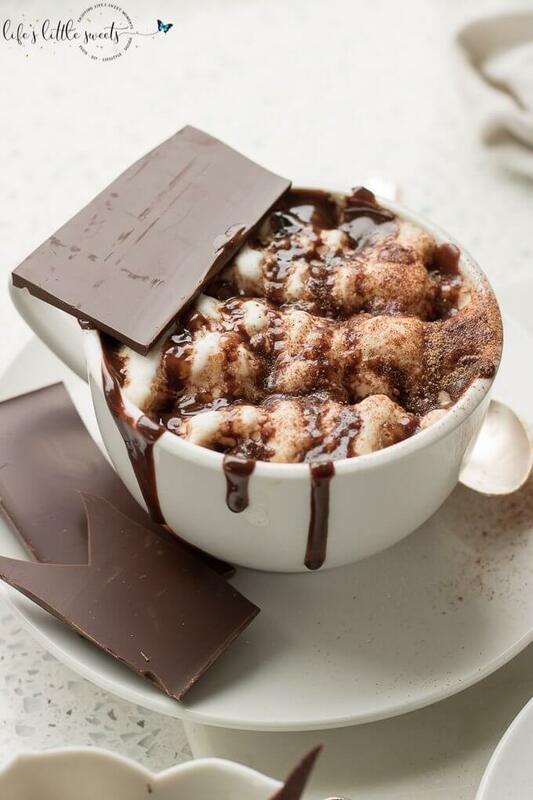 Serve with a square of your favorite chocolate! Enjoy!